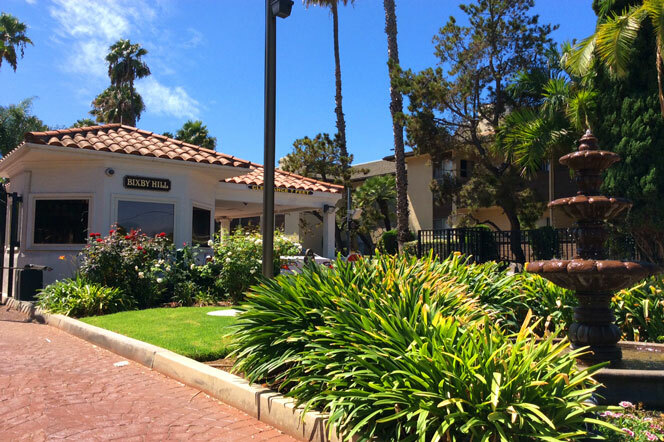 Bixby Hills Gardens is a 24-hour, guard-gated community located in the highly respected Bixby Hills area of Long Beach, California. There are approximately 120 split-level townhouses inside Bixby Hills Gardens – all built in Spanish architecture in the early 1970s. Bixby Hills Gardens’ townhouses for sale range from 1 bedroom 1 bath to huge 3 bedroom 2 baths boasting large floor plans in corner units exceeding 2,100 square foot. We feature all the current listings below. 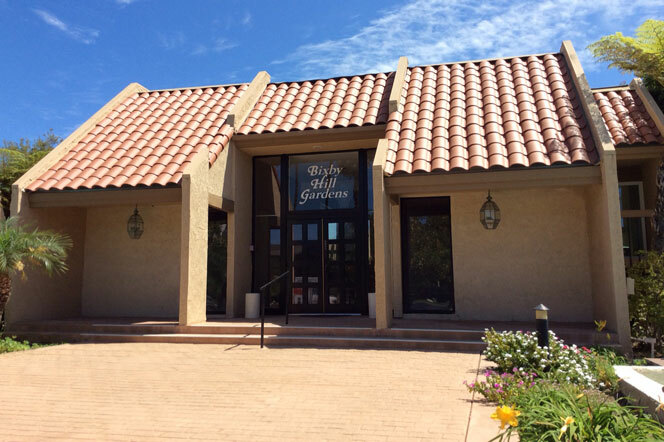 Bixby Hills Gardens has many association amenities for it's residents. First, the community is located with the 24 hour guard gate of Bixby Hill which entrance is strictly for residents and their guest. The outside of the townhouses you’ll find beautiful landscaping, a relaxing spa, large pool, and a state-of-the-art clubhouse with a recreational facility. These townhouse homes can offer hardwood floors in the majority of rooms, mirror glass walls in some rooms, fireplaces, wet bars, and a garage with extra storage space. Association dues are $355.00 a month with a total of 120 units total in this complex. To learn more about this community please contact any of our local real estate agents today.